This recently remodeled 3-bedroom, 3.5 bathroom Penthouse unit boasts the best view in the Silver Lake Village. 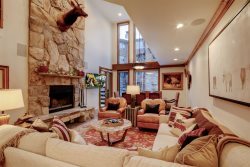 With approximately 2,872 square feet and vaulted ceilings, this unit looks directly out at the Deer Valley ski runs. After a day on the mountain, relax in the private hot tub on your deck and let your senses soak in the view or enjoy a hot beverage by the large wood burning fireplace in the Great Room. 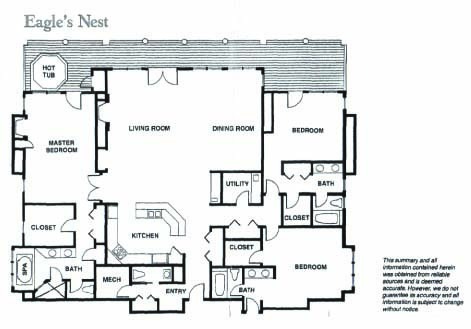 The large Master Bedroom also has a wood burning fireplace and is furnished with a king bed. The 2nd bedroom has a king bed and the 3rd bedroom has a king bed. With granite countertops and stainless steel appliances, this kitchen will make you feel right at home. Enjoy preparing a wonderful meal with family or friends or take advantage of 5 award winning restaurants within steps of your accommodations.